How the Trucking Industry Works | Power Rogers & Smith, P.C. The majority of us see trucks and semi-tractor trailers on roadways every day. Despite these frequent encounters, we are totally unaware of the special requirements applicable to the trucking industry. But, if a collision occurs, understanding the requirements of the trucking industry is invaluable. 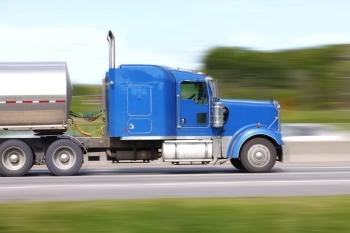 The Chicago truck accident attorneys at Power Rogers & Smith understand the trucking industry and are familiar with the regulations that pertain to trucks and other commercial vehicles driving on our roadways. When a collision occurs, we know what to look for to properly investigate and prove your case. The trucking industry is regulated by the United States Department of Transportation’s Federal Motor Carrier Safety Administration (FMCSA). Truck drivers must adhere to certain rules in order to ensure the safety of themselves and others on the road. These regulations cover things such as licenses, hours of operation, and restrictions while driving. Gross vehicle weight rating or gross combination weight rating exceeding 10,001 lbs. The Hours of Service rule limits the amount of time a driver can operate a truck. The rules state that drivers may drive a maximum of 11 hours after 10 consecutive hours off duty, may not drive in excess of 14 hours consecutively, and may not drive in excess of 60 – 70 hours in 7 – 8 consecutive days. Truck drivers must obtain a commercial driver’s license by going through the necessary training and passing the associated tests. Trucking companies are supposed to vet their potential hires to determine if the driver has the necessary training and licensing to operate a large commercial vehicle. Frequently, a driver’s lack of training and qualification leads to a serious collision. Additionally, there may be liability on the part of the trucking company for failing to make sure that its driver is properly licensed. Trucking companies must also train cargo loaders to ensure that they properly load and maintain their trucks. If they fail to do so, an overloaded trailer or defective part can result in a serious injury. When a major collision occurs, or a serious injury is sustained, it is important to hire an attorney who can make sure the truck driver and trucking company were abiding by these and the any other regulations and industry standards. Our trained lawyers can help you determine who is liable for the accident and who can be held responsible for your injuries. If you’ve been involved in a trucking accident, let our firm help you. Our Chicago truck accident lawyers at Power Rogers & Smith, L.L.P. know the trucking industry and we know the requirements for safely and legally operating a large commercial vehicle. Let us help you understand your options and move forward in the most effective manner possible. Call us today for your free consultation.